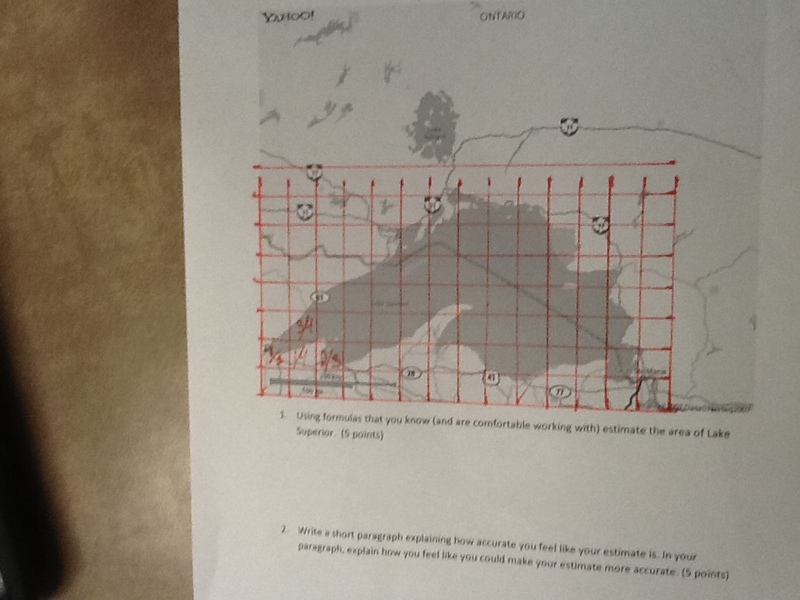 Today we did The Lake Superior Problem. In keeping with the basic theme of my previous post, this problem has a very easy to understand task. What’s the area of the lake? Then the fun begins as you watch the students explore the different options for taking a rather bizarre shape and inject familiarity to it. 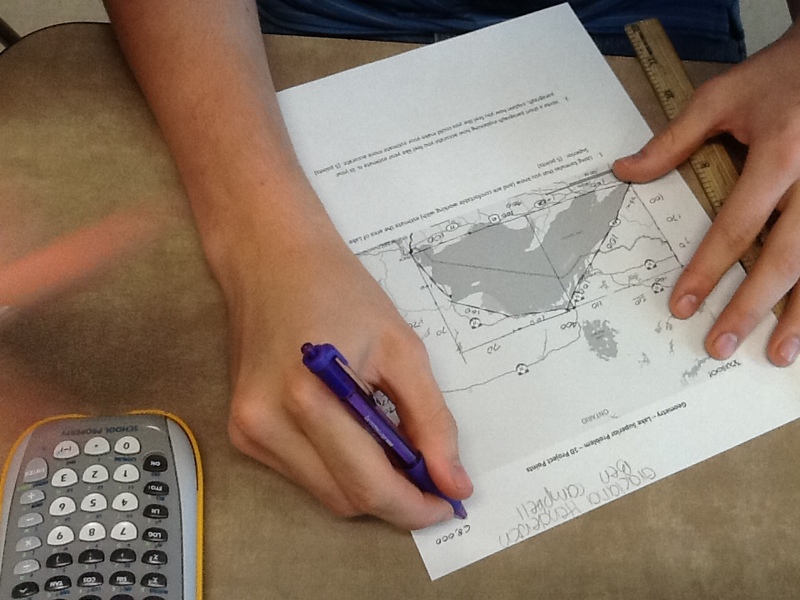 There isn’t a formula for the area of Lake Superior. So, what can we do? Above was the most accurate response and also the least used method. This was a similar approach. Still seldom used. Still quite accurate. This group found it useful to have an image they could manipulate better. A see through sheet of patty paper helped them. This group asked for string so they could get an accurate perimeter measurement. 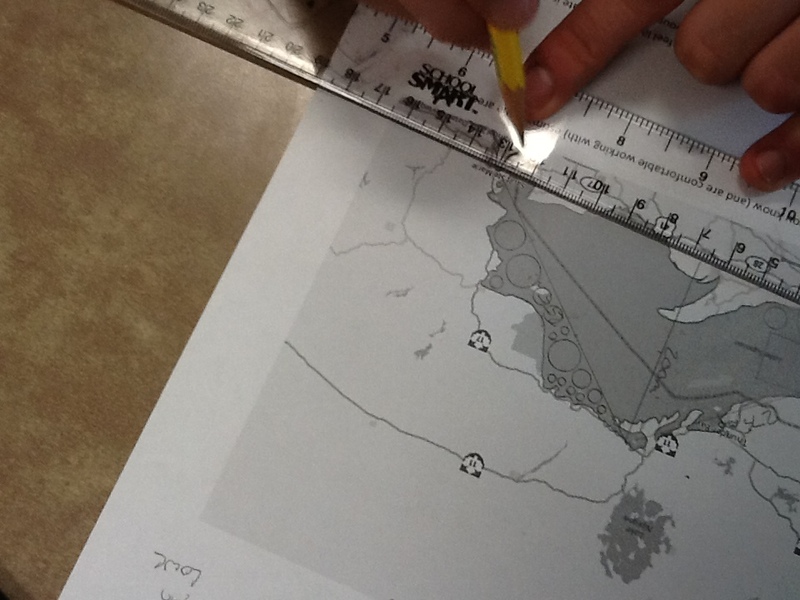 They found that the perimeter was not an incredibly helpful measurement, but better they explore than I shut down ideas. 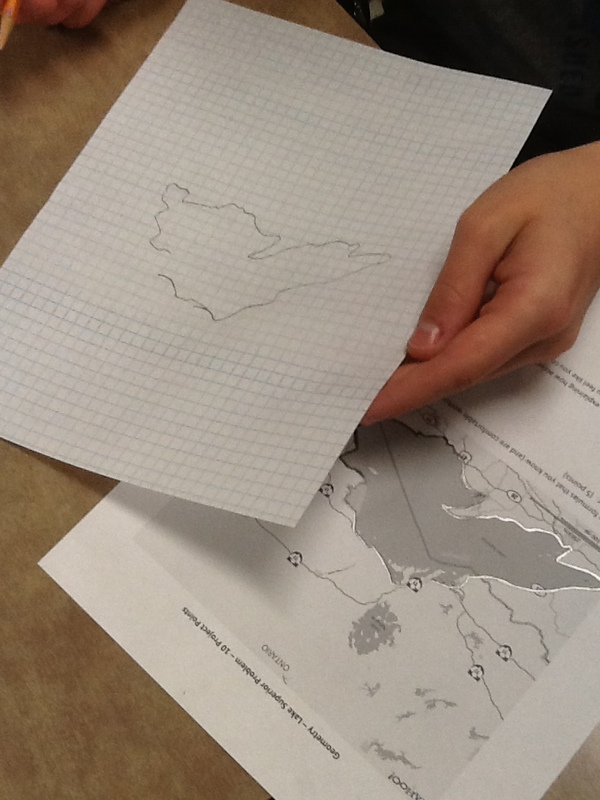 Many students saw the lake as a “sort-of triangle” and measured and calculated accordingly. 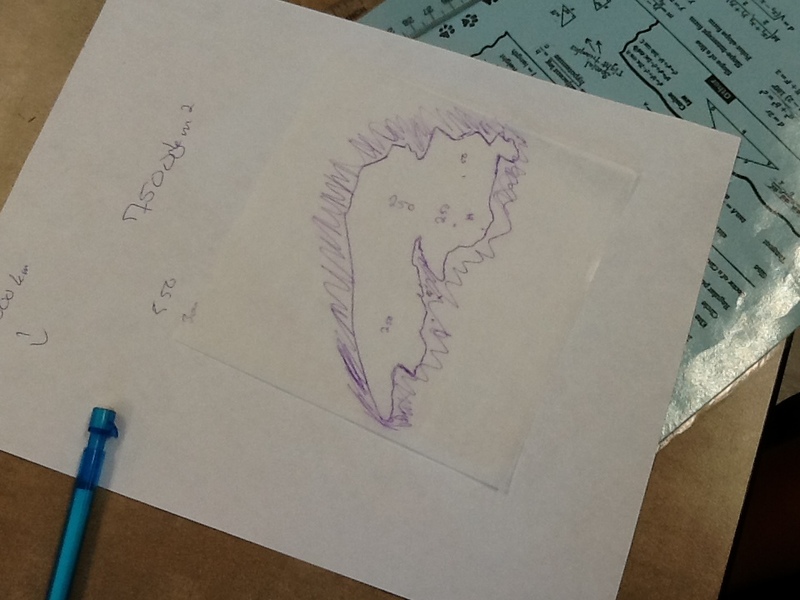 I continue to find it fascinating that these students, who struggle with scale, area formulas, identifying polygons, and other mathematical skills in isolation struggle less with them in the context of an approachable task. Collaboration and engagement are the goals. Learning comes through these. High school students can be capricious. Especially here in the nether regions of school-after-Memorial-Day. 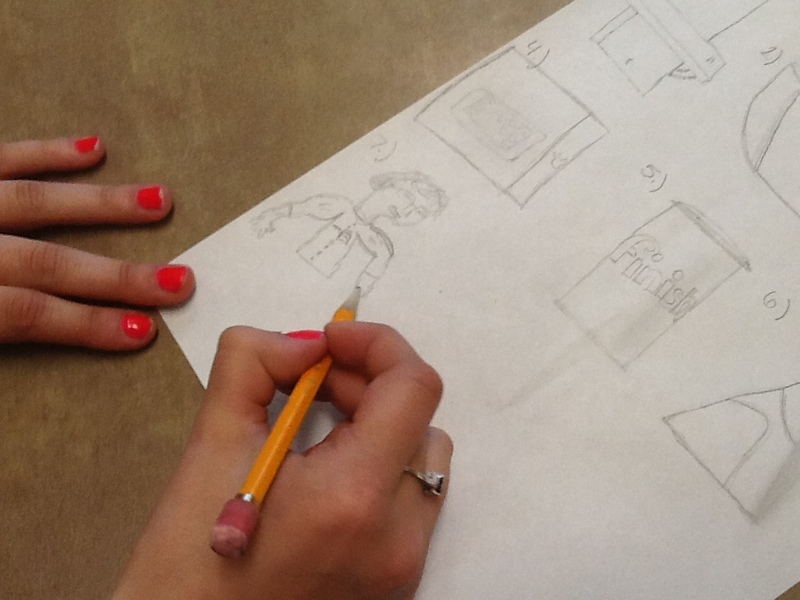 It can be hard to predict what type of assignment will engage the students. Something that has worked in years past might flop this year. But today, something worked. A. It engaged more than 90% of the students. B. It challenged more than 75% of the students. C. Almost all of the students who were challenged persisted through the challenge. 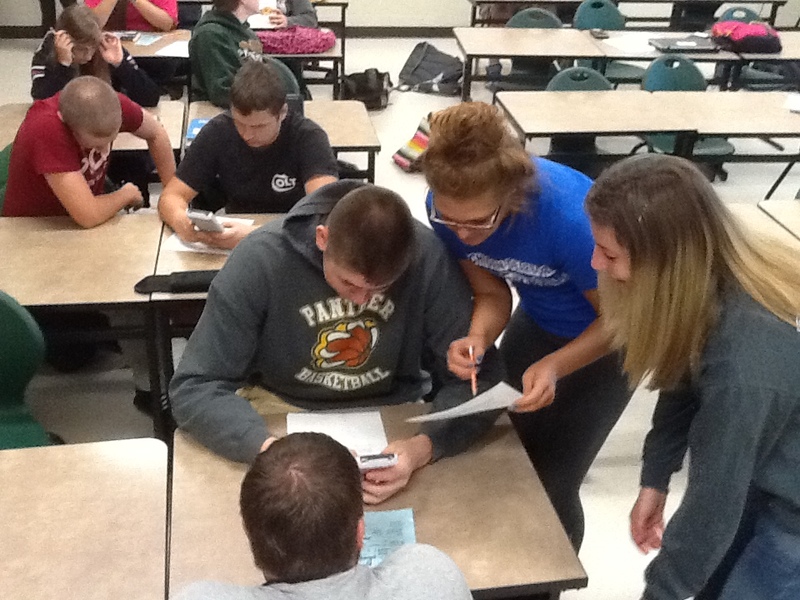 D. It inspired honest and effective student-led collaboration. That something is a handout that I like to call Wrap Battle. So, why did this handout contain work so well? Well, first (and I feel like this is the most important), the situation in which the problem exists is easy to understand. Practically everyone has either wrapped a present or opened a wrapped present. So, there isn’t any students lost in the context of the problem. Second, the actual number crunching isn’t overly complicated. This problem consists of adding, subtract, multiplying, and dividing of positive, whole numbers. You aren’t going to lose any students who have an idea of what to do, but get lost crunching the numbers. Finally, that leaves us with the meat of the energy being designing the solution and testing/comparing results, which, at this point in the year, is exactly what they should be doing. So, just a like a workout that is designed to isolate a certain muscle group, this problem approaches the students so that all of them can play, contribute and analyze the result. When they feel like they can, then that increases the chance that they will try. Double Stuf Oreos: Are they really double the Stuf? Double Stuf: A factual statement or clever marketing trick? The beauty of this activity is that the students were able to become involved in the formation of the solution process. They practically all had a prediction. First idea, would double the stuff be twice as tall? It didn’t appear to be double by height. 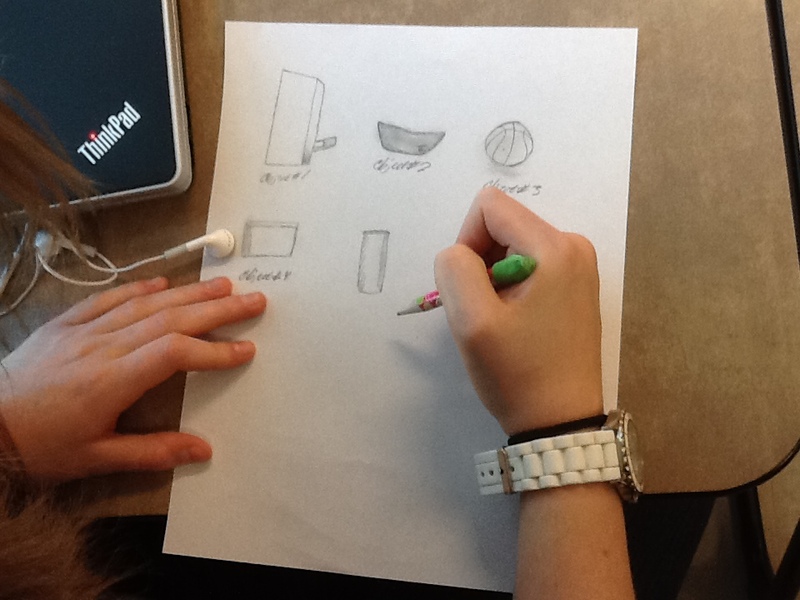 The above image represents what multiple students observed. It was an awesome opportunity to discuss conclusions. What conclusion can we draw from the observation we just made? Double by what measure? Mass? Next idea was mass. 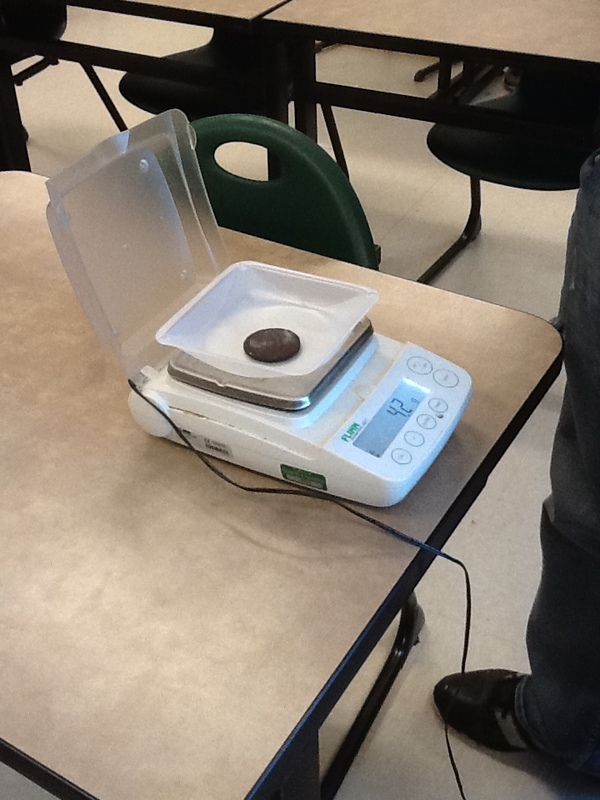 Gave in impromptu call to Mr. Corcoran, the chemistry teacher, who loaned us some scales. But what do we measure? The whole cookie? That opened up another important question? Is the same wafer used for both the standard and the double-stuff? 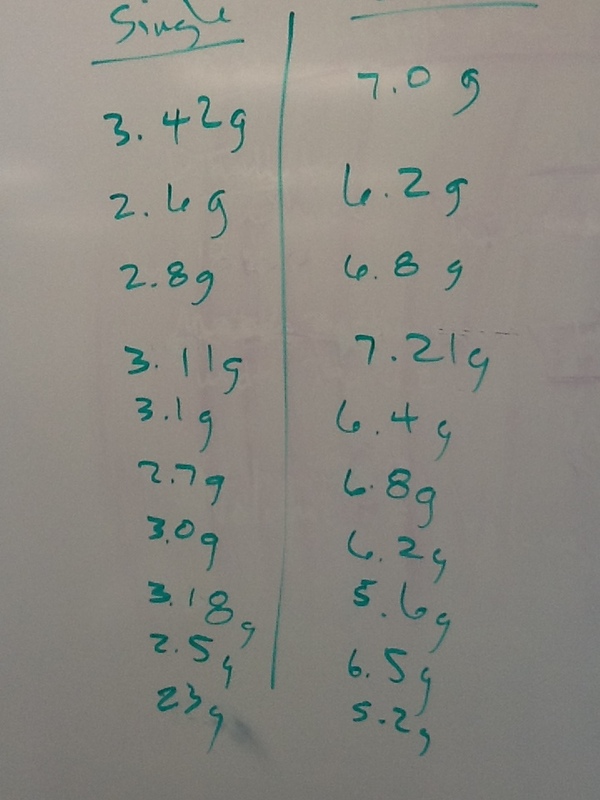 After some quick diameter and mass measurements, it seemed like there was no meaningful difference between the two. 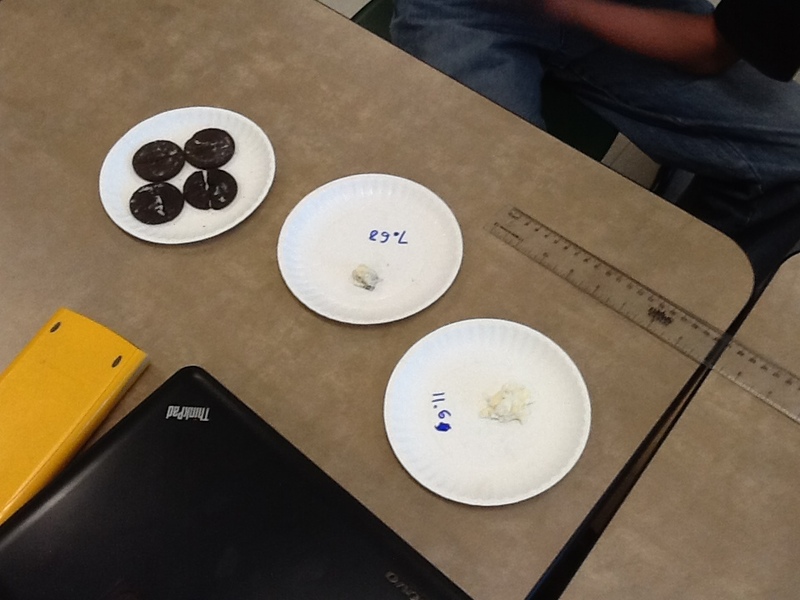 But, just to be safe, each student scraped the Stuf from a standard and a Double Stuf and set to the scale to get a mass measurement. 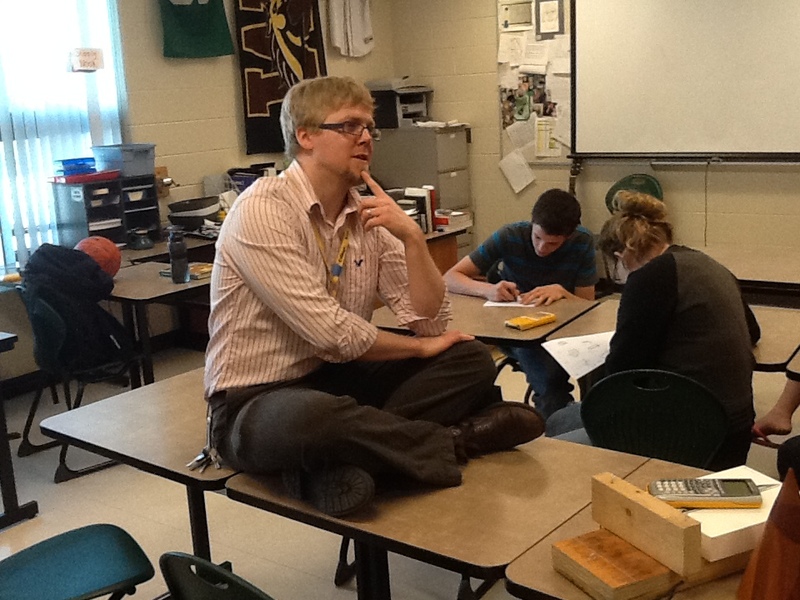 What math class looked like today. Then we compiled the results. 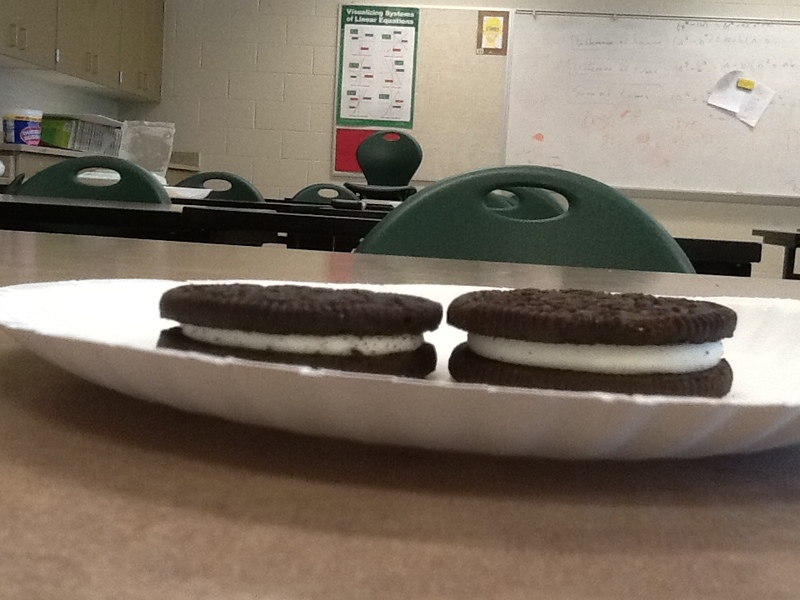 The mass of the Stuf scraped off a sample of standard and Double Stuf Oreos. Each group took a moment to deliberate and concluded that, for the most part, it seems that the Double Stuf is appropriately named. 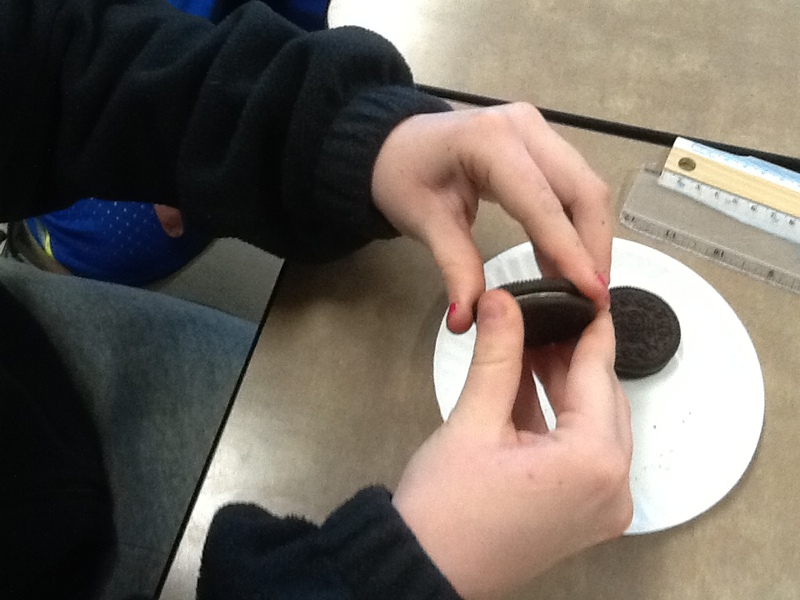 Some groups seemed to think that, if anything, the Double Stuf contained more than double the Stuf. 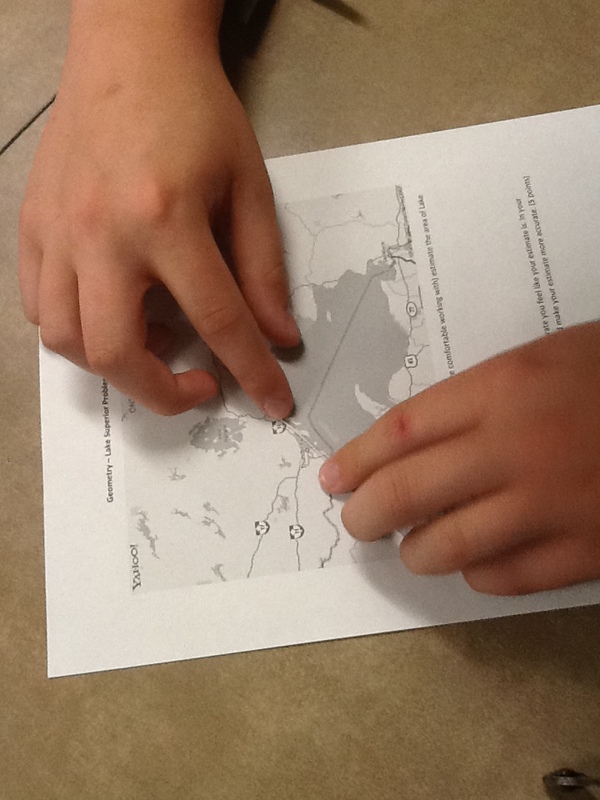 This activity contained so much of what makes contextual, collaborative learning valuable. Authenticity, source of error, conclusions that were not clear, but needed to be discussed. Students needed to listen, speak and rephrase when others didn’t understand. It also had the beautiful feature of me not knowing the answer and they knew it. So, there wasn’t the temptation to treat me like the math authority, as though all math learning begins and ends with the Teacher’s Edition. And for an added bonus, the AP Stats class meets next door at the same time and so, we were able to strike a deal to rerun the trial with the guidance of the stats class for a broader, students-teaching-students experience. I’ll report back with our findings.